In the age of the #MeToo movement, employers are under pressure to address sexual harassment in the workplace. Jean Roque, president and founder of human resources consultant Trüpp, discusses how companies can do more to avoid sexual harassment cases. Are you seeing more employers coming to you to address sexual harassment in the workplace? We have had a lot of requests. There are more and more laws that are coming into effect in other states that enhance workplace training requirements. Connecticut and New York have beefed up their laws. A new bill was just passed in California that enhances harassment training requirements for non-supervisory employees. 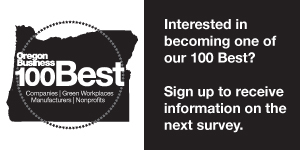 Right now, Oregon recommends but does not require harassment training. Although Oregon is not as stringent on its training requirements, it is very progressive in the expansiveness of the protected classes. What kind of employers are coming to you for advice? We probably get two different kinds of scenarios: Those that already have an immediate issue they need to address; they need to show they are putting policies or training in place to be responsible. That is sometimes part of the settlement of the claim against them. Then, there are more progressive employers who are trying to go beyond compliance; those that want to put themselves out there as having a workplace where employees are valued and respected. The public sector is a leader in this area, but we have also seen this in other industries. Did the #MeToo movement trigger the increase in employers wanting to be more proactive about educating employees about sexual harassment? Definitely. It is hard to ignore when so many have come out of the shadows to share their stories. It has been a wake-up call to employers who may have overlooked, avoided, or even condoned these kinds of behaviors in the past. Companies are realizing there is a real impact to their business by not addressing this. Employees don’t want to work in an environment where they are the target of or even observing inappropriate behaviors. Plus, customers don’t want to do business with companies that are displaying poor business practices and values. How do you help employers navigate these issues? It depends on what stage they are in the process. Sometimes they come to us after an event has happened and we do an investigation. We share findings and recommendations. There is a heightened sense of urgency in those situations and it is a more targeted response. If they are coming to us because they feel like they have concerns about harassing behavior, it is more a matter of defining expectations and educating employees on their role in contributing to a respectful workplace. Even when an employee is not a target of inappropriate behavior, they may have witnessed it or had an opportunity where they could have taken action, such as standing up for somebody, reporting the incident to human resources, or addressing the situation with the offender. We also see that employers could do a better job at equipping managers so that they know what to do in those situations. Oftentimes, the manager does not know what to do, and for a lack of knowing what to do, they don’t do anything. When an employee sees a manager’s response, they are likely to assume the manager is responding in a manner that the company condones. How that manager behaves in that moment is likely to set the tone for how the employee views the company. A lot of companies have policies to protect against sexual harassment, but they are not lived out. I think that is why a lot of employees file a formal complaints, because they don’t feel like they are going to be heard. Or, maybe this was behavior that seems to have repeatedly went unaddressed. In Oregon, there are a lot of small businesses that might not have a HR professional or someone they feel is an unbiased person to go to. They have to go to the owner of the company or someone who is close to the person doing the inappropriate behavior; it isn’t a comfortable feeling. Most larger businesses have a well-defined path for employees to report their concerns. However, even with those reporting paths, we still see employers contending with issues that went unreported or unaddressed, including businesses in our own backyard. Nike is an well-known example. I hope the recent Nike situation is eye-opening for a lot of employers. Maybe they didn’t think twice about it before. Employees oftentimes will not step up and share unless they are invited to and they feel there is a safe way to share their concerns. Just because we haven’t heard it doesn’t mean it is not happening. Even men in those situations often don’t want to speak up because it is uncomfortable; they feel they are going to be looked down upon by their peers if they are the one saying this is not appropriate. Men can be some of the most powerful bystanders. When they speak up in these situations, that can make a big difference. It is unfortunate it has taken a lot of women to come forward—especially, in some of these more overt situations where it is likely that for every woman who came forward, there were multiple bystanders who were aware and yet weren’t saying anything. It is so important to spread the responsibility beyond the person who is the target of that behavior. If we have more voices that are bringing these things forward, it will stop sooner. Should your company get political on social media? Experts weigh in.